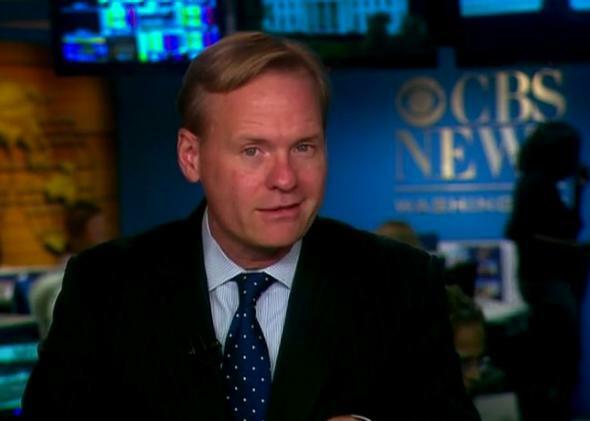 Slate’s John Dickerson named anchor of CBS’ Face the Nation. So proud @jdickerson will host Face the Nation. And so thrilled he'll continue writing and podcasting for @slate. So proud of @jdickerson, new face of @FaceTheNation. To @SlateGabfest fans: yes the show goes on with john & @davidplotz and me. Phew! Dickerson joined Slate after a 12-year stint at Time, where he was the magazine’s White House correspondent for his last four years on the job. He later joined CBS News in 2009, a professional affiliation that also had deep personal connections. Dickerson’s mother Nancy became the first female correspondent of CBS News in 1960. “I grew up hearing about CBS,” Dickerson told TV Newser in 2009. “When Mom started, she worked with Ed Murrow and Eric Sevareid and Don Hewitt. She revered them. That was the sort of water I grew up in.” He wrote a book about his mother, On Her Trail, which was published by Simon and Schuster in 2006.
.@CBSNews President @DavidGrayRhodes tells me @JDickerson succeeds @bobschieffer on @FaceTheNation because "we want a reporter in the job"